One of a Kind Haircare! 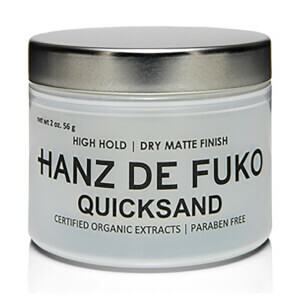 Hanz de Fuko was created in 2009 by childhood friends David Alfonso and Christopher Zent who wanted to challenge the status quo with a one of a kind haircare range. Hanz de Fuko is a testament to the artist in all of us. Their philosophy is that life should be about fun, living with purpose and staying true to oneself - which is reflected in the haircare. They wanted to view things a little outside the box, take ingredients and see if they can be reworked, reinvented or redefined for another purpose. 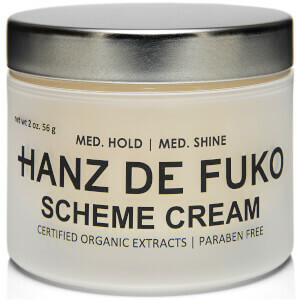 Hanz de Fuko has a simple ideology - original formulations for a one of a kind individual. The boys at Hanz de Fuko believe your style says a lot about you, and believe in your own brand of individual style. Hanz de Fuko is here to complement you along your style journey. SHOP: Claymation - more than your average hair pomade. Made with a touch of quicksand, this is a clay-wax hybrid. The ultimate combination for super high hold with pliability for achieving perfect, semi-matte hairstyles. This is a high calibre styling product that works with you - never against you. Containing all the best parts of sculpting clay combined with a blend of natural waxes, create works of art that last all day. OR: Natural Shampoo - Luxuriously and effective cleanser for getting hair looking and feeling it's healthiest with amazing shine. This shampoo contains 16+ pure natural plant extracts and 10+ amino acids for optimum hair growth and a healthy scalp. Hair will become noticeably thicker, stronger and more manageable with frequent use.